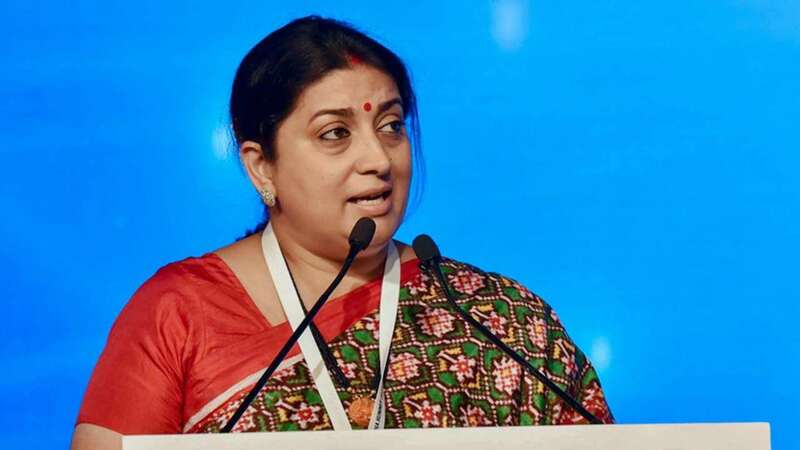 Feb 3 (AZINS) Union Textiles Minister Smriti Irani on Sunday announced that the day Prime Minister Narendra Modi decides to hang his boots, she will also quit Indian politics. "He (Modi) is going to be around for very very long time," Irani said. The statement by Irani came at 'Words Count' festival in Pune on Sunday. The minister was invited to speak on the topic of 'Scripting her story from star to star campaigner' at the seminar. During the session, when Irani was asked when will she be seen as 'Pradhan Sevak Smriti Irani', she was quick to answer, "Never." She further said, "I came into politics to work under charismatic leaders. I was very lucky to work under the leadership of Atal Bihari Vajpayee and I am currently serving under the leadership of Modiji. The day Pradhan Sevak Modiji decides that he will hang his boots, I will also leave Indian Politics." When she was asked if she thinks that there is no other leadership after Modi that she would like to work with, the minister said, "I decide for myself on how much life I will give for my country, my society. In an independent country, if can not take the decision for myself, then what is the use of that independence for me." Referring other senior leaders from the party that she is currently working with, Irani said, "Am I currently not working with leaders like Rajnath Singhji, Nitin Gadkariji? These are the leaders with whom I have worked in my organisation for 18 years. I also had the opportunity to work with legends like not only Atalji but also LK Advaniji. I might talk about leaving the office but I will never talk about leaving my family (organisation)." When the minister was posed the question 'who in BJP after Modi', she said, "We are not the Congress party. We go to people and tell them that these are our leaders and who would you bless." She also said, "By posing such question, you are presuming that Modiji will not be there for too long but let me tell you, he is going to be around for very very long time." In the same sessions, Irani was asked multiple times if she will be contesting Lok Sabha election from Amethi against Congress party president Rahul Gandhi, she kept on ducking the question stating it is the decision of the party president Amit Shah. "I just want to say that when I fought the election in 2014, they were asking who is Smriti but in 2019 they know who I am," she said.